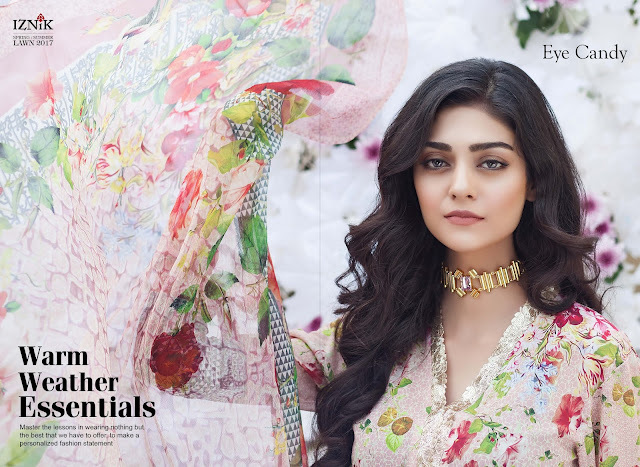 Iznik Lawn Collection SS17 Launched! Iznik Spring/Summer 2017 Unstitched Collection serenades beauty in all its forms; rose frescos, gardens and pastel rain. Iznik Collection is available in all the leading stores nationwide. 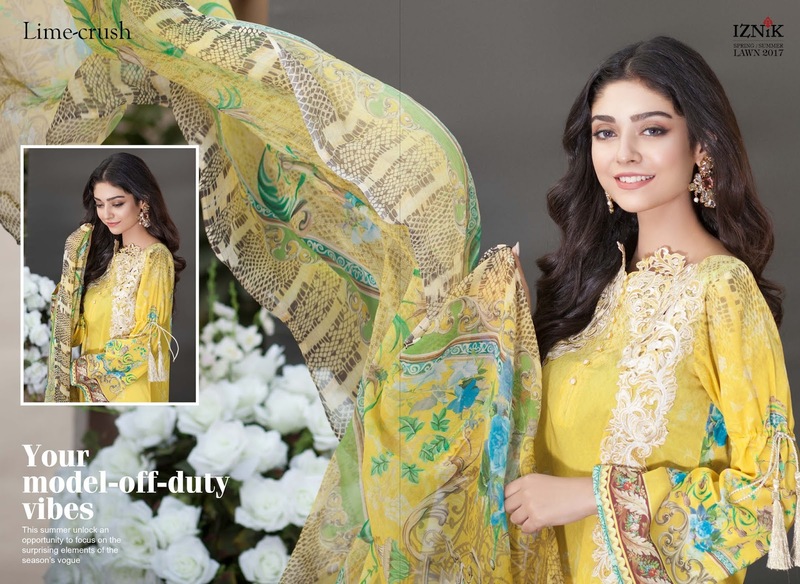 Iznik’s second lawn collection presents 10 distinct designs; complementing the collections’ pure 80*80 lawn is the use of pure chiffon for dupattas. With a colour palette celebrating vibrant and summery tones, Iznik includes designs ranging from floral to Moroccan patterns; baroque to French teasels. 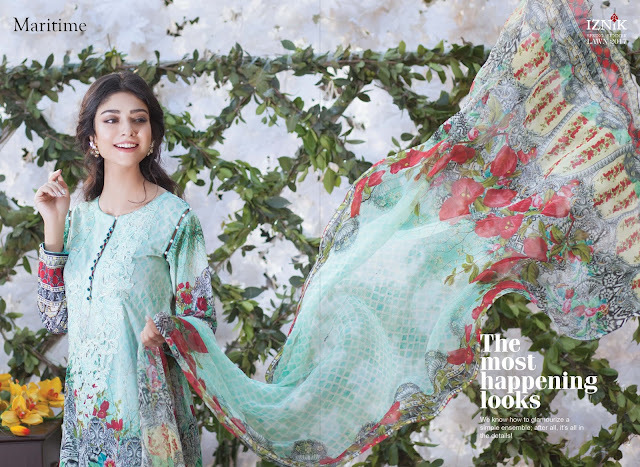 With vibrant chiffon dupattas, embellished add-ons and detailed embroideries in the most perfect summer colors, the collection has all the dynamism of luxury wear and the practicality of lawn. Iznik believes when you feel confident in your clothes, you get an automatic, extra amount of style. Iznik Team has paid very close attention to the craftsmanship and the wearability of lawn. To make sure the clients have the finest pieces as they have used best quality Lawn, latest digital printing and embroidery technologies. All the outfits and unstitched three piece and are reasonably priced at Rs. 3,990/- available at all the leading stores nationwide as well as online. Iznik is a name that synonymous with regal clothes that exude extravagance and magnificence. 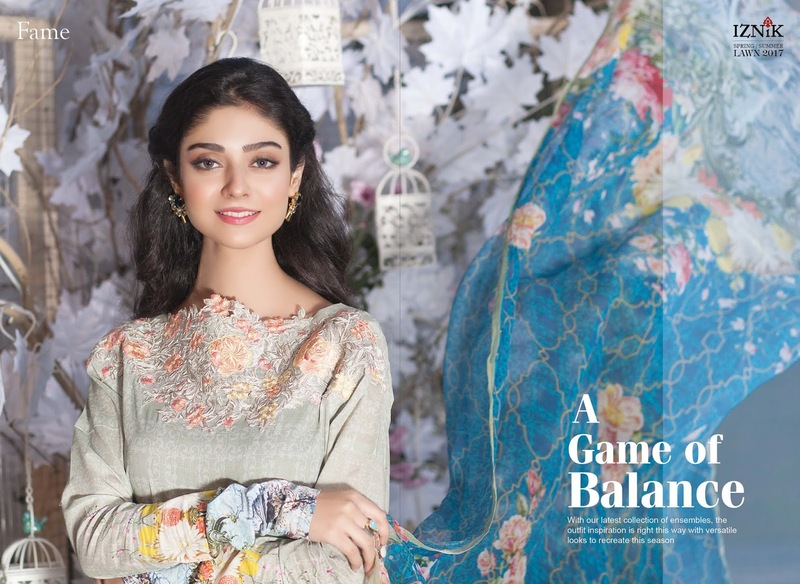 This season too, Iznik has crafted clothes that will give you a timeless appeal in the most stylish manner. So grab you dress from the collection featuring brilliance for giving your wardrobe a dose of glamour this season. They have some lovely prints.